For over 100 years consumers have trusted Thermos brand products to keep their foods and beverages hotter, cooler and fresher. Today this tradition continues with an array of products for every purpose. 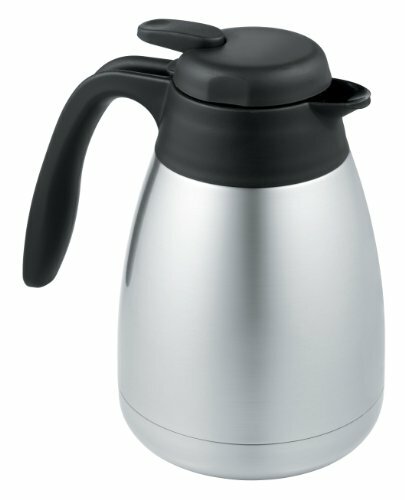 The Serving Carafe has an durable 18/8 stainless steel interior and exterior and will withstand the demands of everyday use. The Thermax vacuum insulation virtually eliminates temperature change by creating an airless vacuum space between two stainless steel walls. The result is an insulation layer that performs better than any other. A superior insulated container you can depend on to keep your food and beverages hotter, colder, fresher, longer.